Finland’s largest contemporary music festival, Musica nova Helsinki, features a concert of Olli Virtaperko’s compositions for viols, 5 February 2019 in Kamppi chapel, Helsinki. 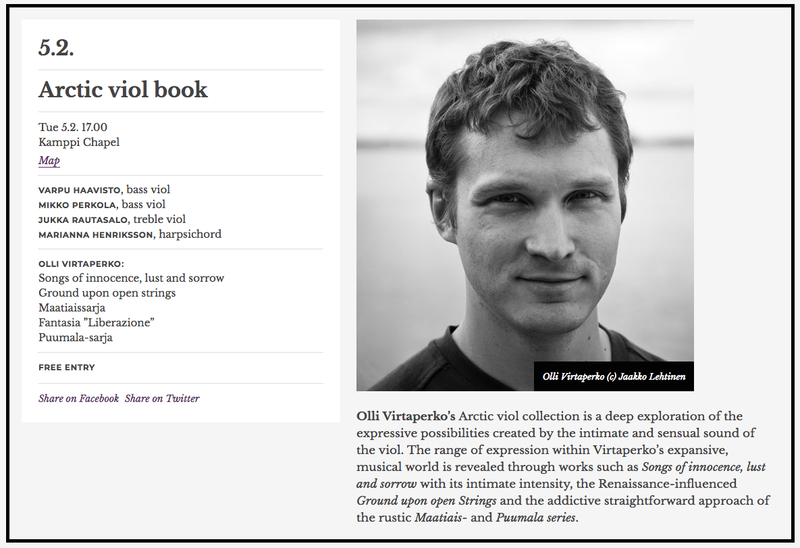 Under the title Arctic Viol Book, the concert includes solo pieces for treble and bass viols, and duos with and without continuo. 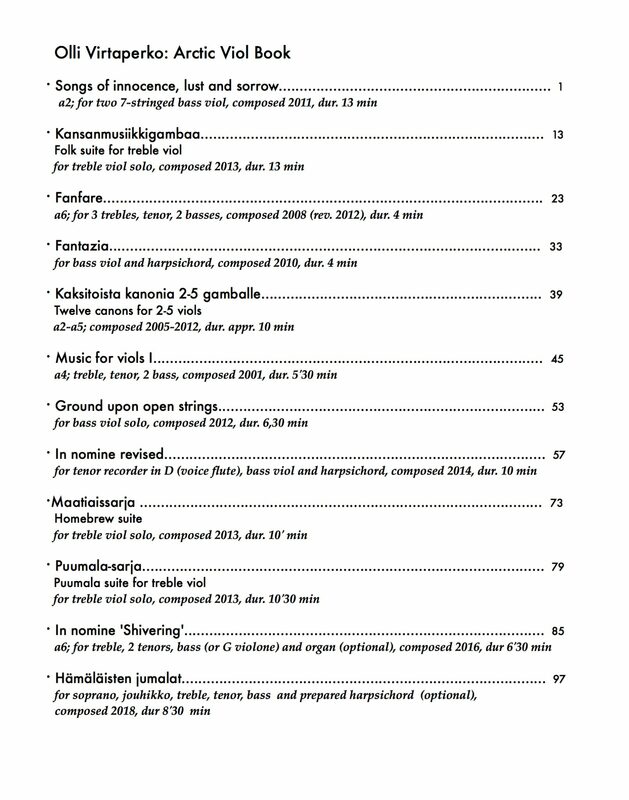 The current state (2019) of “Arctic viol book”/table of contents.